Fain Music is a collaborative partnership of David and Pam Fleming-Williams and Brian and Freda Jenkins. Our aim is to enable and disseminate Folk Music and Dance in a highly professional manner. Fain music was created for one very simple reason. To publish traditional music. As a small business we can also help support folk dance events and only take on projects that are enjoyable! 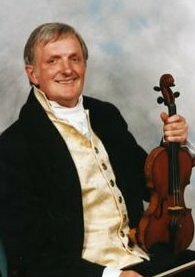 David first played the violin at the age of 3, taught by his mother, who was one of the formative musicians in the revival of interest in folk music during the 1940/50's. She was awarded the gold badge of the English Folk Dance and Song Society for "recreating an English tradition of folk dance music".Although classically trained and managing to battle his way through grade VIII, David admitted finding it more enjoyable playing folk music. Having reached the heady heights of Grade III on the piano, he gave up, but had learnt enough to be able to start accompanying his mother and help her with the basic chording of tunes. And so, arranging music for dancing in the style of small orchestras became a passion for him that led to several LPs with 'The Ranchers' band, as well as arranging bands at large festivals, and work with BBC Television and Radio. Several people have asked for some information about 'my mum', Nan Fleming-Williams. So click here for an essay written about Nan by my cousin, Stephen Moffat. Brian's musical career started as a chorister in Chester cathedral choir. 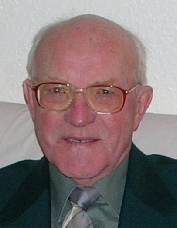 He studied piano and organ for some years, and was the organist at his local church in Thornton Hough. He also plays tenor horn and is keenly interested in the Brass Band Movement. His introduction to folk music started many years ago when Bryon Bonnett lent him an old accordion and he progressed from there into writing and arranging tunes for folk dancing.